With the economy bouncing back more slowly than we’d like, and there being, in many cases, hundreds of applicants for every job opening, employers are truly enjoying a “buyers’ market.” Qualified and highly-motivated employees are eager to fill any position available. But employers would be wise not to put too much stock in how favorable the available labor pool is to them right now, and need to stay just as smart as they have been when the prospective employees were in the catbird seat. Despite online employment websites having been around for awhile, the online job search universe has expanded and changed dramatically, even in the last few years. New tools are available for both employers and job seekers which, if used correctly, can make the matchup process easier than it’s ever been. Like any tool, however, their improper use can make the process more difficult, and even result in not-so-minor disasters for both parties. 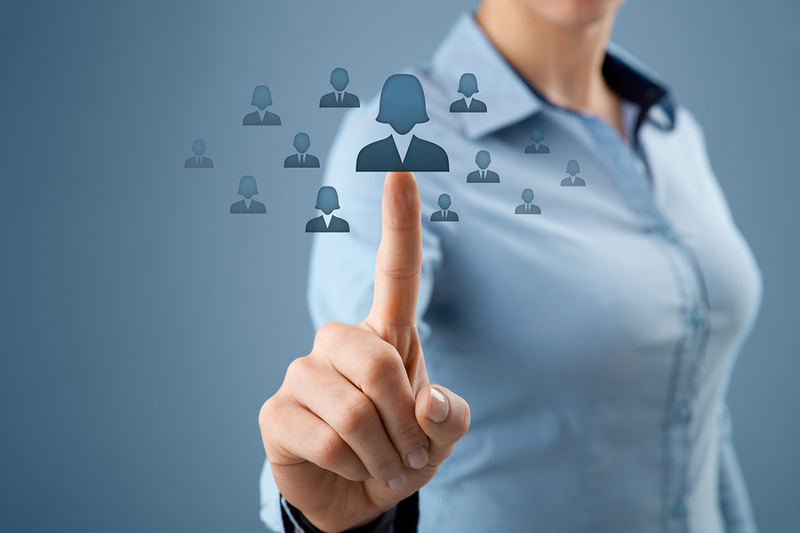 Here are a few things to consider when looking for new employees online. There are online job listing sites to fit virtually any employer’s needs and budget. The biggest one is Monster, with employment listings and online resumes worldwide. It is an especially good resource for companies that are looking to fill positions in multiple locations, or have offices in many cities, and their database of potential applicants’ résumés is huge. The cost for listing your job runs anywhere from about $200 to about $400. If yours is a small local company – especially if you have a tight budget – you might find that Craigslist job postings are a better fit. By clicking through to your state and city’s page, you will limit your candidate search to your own area, thereby weeding out potential applicants that aren’t in your immediate market. Especially for middle management, skilled and unskilled blue collar positions, Craigslist is often the first go-to for job seekers. And the cost for employers is low – from free to about $75, depending upon the individual market. Another good resource is Linkedin. This professional networking site has over 135 million members, and you can safely assume that millions of them are open to considering a job switch, even if they aren’t actively looking. One benefit is that the site offers you the ability to perform at least a cursory pre-screening of applicants by looking at their own Linkedin pages, their online résumés, and their participation in various Linkedin groups of which they are members. The cost for listing a job is reasonable, generally about $200 or less in a large market, somewhat lower in smaller markets, and slightly higher in the hottest job markets. There are lots of other job listing resources that you can discover with a quick search; far more than will fit in a short article. Background checks have become the norm for companies’ applicant screening process. All too often, however, a background check offers an incomplete picture of the applicant’s character and personality. Another resource that many if not most employers are using is to check an applicant’s social network pages. Facebook and Twitter, for example, offer a less-sanitized overview of what an applicant is like when he or she doesn’t think “the boss” is looking. Though asking the applicant for full access to their pages is controversial, browsing through their public postings is perfectly acceptable. In addition to their social networking pages, a preview of an applicant’s professional networking page can be helpful, as well. While individuals tend to be more reserved in their LinkedIn postings, for example, employers can compare the applicant’s resume against their online professional information to see if there are any discrepancies, and observing their online affiliations and network associations can be quite revealing. The flip side of doing a bit of online detective work is to also provide potential applicants with a better picture of your company, what it’s like to work there, and what job opportunities are available. Hiring and training a good employee is expensive, but not nearly as expensive as hiring and training someone who just doesn’t fit into your company’s objectives and culture. It is, therefore, just as important to give prospective employees an accurate perspective on your company as it is for you to make an accurate assessment of them. Post job openings on your website that are reasonably detailed. Give an accurate description of your company, its mission, its management approach, and its culture. In short, give prospective applicants the information they need to determine whether you are as good a match for them as they are for your company. The online hiring process offers both employers and applicants more information that has ever been available previously. It can make a difficult task less challenging for everyone involved, so long as both parties are smart about their online activities, and up-front about their expectations and what they have to offer. About the Author: Daphne Holmes is a writer for www.ArrestRecords.com. You can reach her at daphneholmes9@gmail.com.